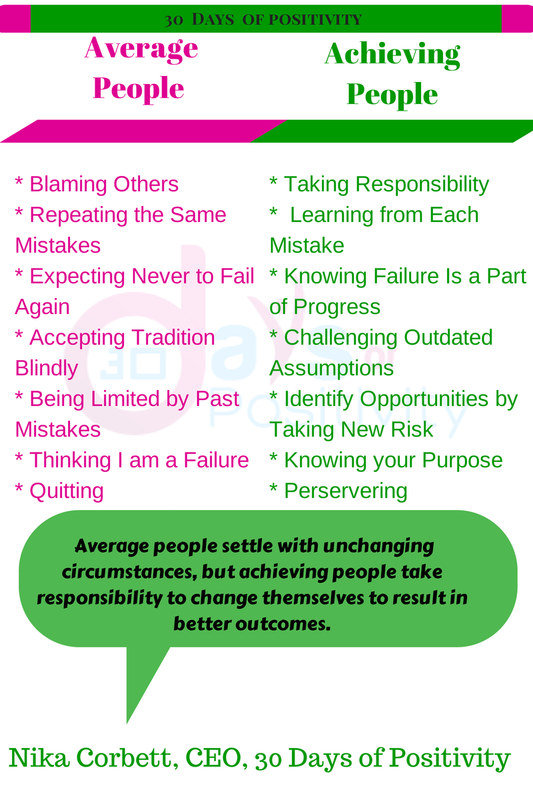 So what are the differences between Achievers and Average people? These are just a few of the thoughts that run through every entrepreneurs head at one point on another, but it’s up to you to make a decision to change it. That is what an Achiever’s mind-set is focused on. These thoughts are totally opposite of those of an average person. If you want to see great things happen in your life, you can! It all begins with those thoughts that you have in your mind on a daily basis. You can make a decision right now, do you want to be average or do you want to be a great achiever? You have the opportunity to make it happen.